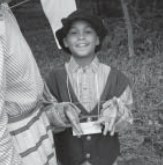 Students gain a new perspective on their place in the world when they participate in Prairie Woods’ Time Travel programs. Be a Neighbor at a Pioneer Cabin. Imagine stepping back to 1888. At the Danielson’s log cabin, Anders’ family needs additional help on the farm. Join the Danielsons for an exciting day of wood cutting, washing, dancing, games, crafts —all as it would have been done in 1888. 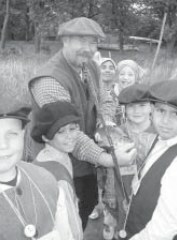 ​Bring your students for a 4 hour visit to experience immersion in 1888, complete with period costumes & a pioneer lunch that students help prepare. 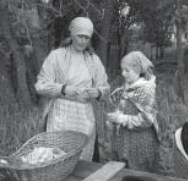 Or include the highlights of Pioneer Cabin (1 hr) or Native Cultures activities along with other Prairie Woods activities.